It’s been quite a while since I’ve written about any writing news and in one way, not much has happened, and in another way, there has been loads. 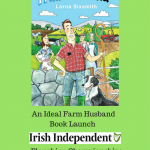 I’ve had quite a few people ask me recently if I’m bringing out a book for the Ploughing Championships again this year and the answer to that is no, not this year. I do have a “gift type book” in draft but the reason I’m not publishing it this year is an agent contacted me back in April / May and I’ve now signed a contract with them – the agreement being that they are going to try to secure publication for my existing books, the gift book and any others I write. I can, of course, self-publish if a traditional publisher isn’t secured and that’s why I’ve applied the brakes this year. Why am I opting to try the traditional publishing route? It’s true that I get huge satisfaction from self-publishing and I was delighted with my agents acknowledgement that I’ve sold as many copies within Ireland as I probably would have done with a publisher. It’s reaching readers abroad is the challenge. 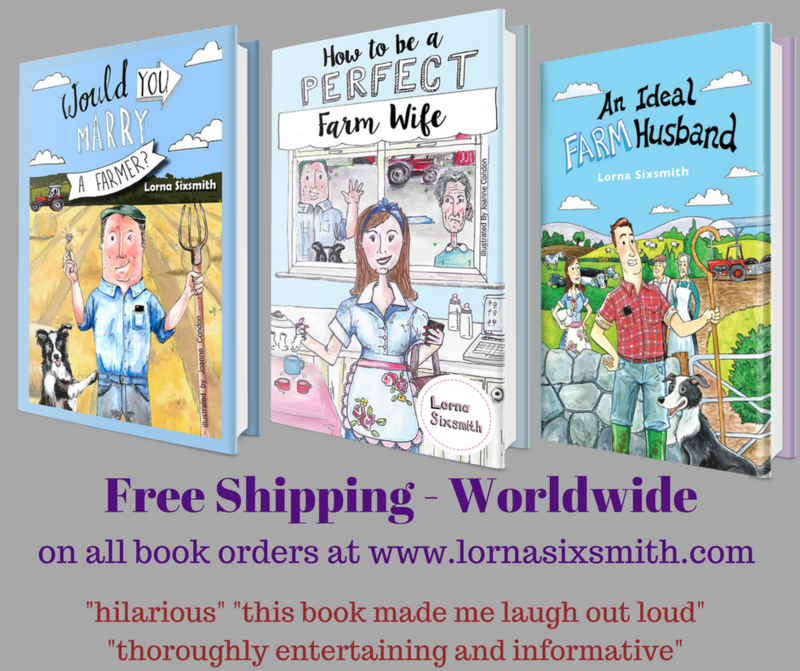 My books don’t sell well as ebooks. They sell much better as paperbacks because people give them as gifts, they are used in marriage proposals, and whole families read them. In ways, they are similar to coffee table books, there to be dipped into, read aloud and enjoyed. 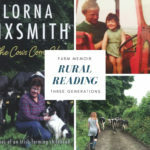 I am supplying books to an increasing number of farm shops in the UK (the latest stockist is Thorne’s Farm Shop in Devon) and they can be purchased as paperbacks from Amazon, but I do feel I need a traditional publisher to help me get the books into bookshops and to secure more press coverage abroad. 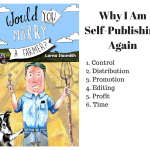 Although I enjoy the control of self-publishing, and seeing a surge in sales in response to some press coverage or a popular blog post, distribution takes time. It would actually cost me money to supply to wholesalers in the UK so it’s down to contacting individual shops which is time-consuming. I know that all authors have to spend time on marketing (and I enjoy that aspect so that’s no problem) but it would be nice to have someone else doing the more “business” side of publishing so I can spend more time on writing. Apart from anything else, I’m really interested in experiencing the process of getting feedback, and hopefully getting a publishing deal. I have a list of ten non fiction ideas and I’ve started a novel (well, started it back in March and need to get back to it) so I’ve plenty to keep me busy. 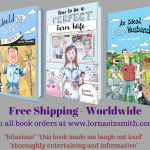 So, to celebrate, and in recognition of the fact that some people may like to get signed copies rather than buy print-on-demand copies from Amazon, shipping is now free worldwide when you purchase any of the books from my website. I’m currently working on research into a girls’ boarding school: Collegiate School Celbridge, from 1915-1975. 1915 because I have some goods records dating from 1915-17, and 1975 because the school amalgamated with a boys school in 1973. It’s not going to be particularly academic, moreso a social history, a recording of people’s memories and I’ve got some brilliant stories. I received written memories from a lady last week and I was in tears laughing at some of her stories. I should have the first draft completed by now but it will be another couple of weeks. However, I’m planning on having it published for 1st November. I have a deadline in place, it will happen! I spoke at last week’s Dublin Writer’s Conference, the topic being how crowdfunding can gain authors funding as well as new readers, and enjoyed it immensely. I’m teaching a workshop on social media marketing at the Write by the Sea festival in September and there’s a stunning line up including Donal Ryan. 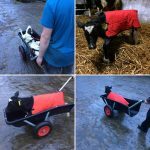 I’ve been writing occasional guest posts and columns for blogs and farm websites too – here’s a selection if you’d like to have a read. The children were in the Gaeltacht for three weeks and I thought I’d get lots of writing done, but do you know what? Children aren’t that time-consuming after all! The month of July will fly too as there’s lots to keep us occupied. Tenants moved out of our house in Carlow after six years living there so Kate and I are painting it at the moment and we’re considering putting it on sale. 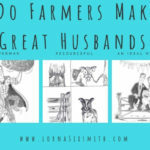 Both children have birthdays and will be inviting friends around for sleepovers etc, I’m going to Wales for three days with other women in the South East Women in Farming group and then we have friends from England coming to stay. We’re 25 years married in August (yes, that does make me feel very old) and I think we’ll just be having a nice lunch out and leaving any time-consuming celebrations until the winter when the cows are dry. It’s actually been quite nice not to be burning the midnight oil this summer and I’m enjoying having more time to read too. I’ve been meaning to start a podcast for ages too so I might eventually get around to that. The last couple of years, especially last year, was so busy, that it’s good to be able to slow down a bit this year.